A phrase of wisdom so widely used it is a cliche but it never hurts now and then to have a reminder of how true that statement is. Recently Redwood Plastics was approached by a large, well-known client in the food processing industry. For years the plant had been using molded grating as it is corrosion-resistant. 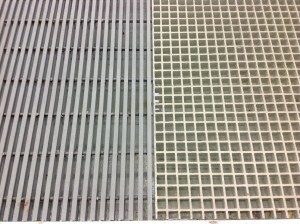 However, after just a few years of use the grating would start to “droop.” The company wanted to replace the grating with more of the same, which they had purchased from us years ago. Instead, we suggested that they consider our new pultrusion grating. The pultruded grating was not only lighter, but much stronger. To be honest, it was a bit of a difficult sell – the upfront cost of pultruded grating, a premium solution, can seem intimidating and it cost almost three times as much as the common molded grating. However, the company trusted our advice and went with pultrusion. They were extremely happy with the final product, it’s strength and advantages were easy to see. Furthermore, as a customized solution, the grating fit better into the trench and eliminated the problem of a “lip” that the plant was having with their old grating. 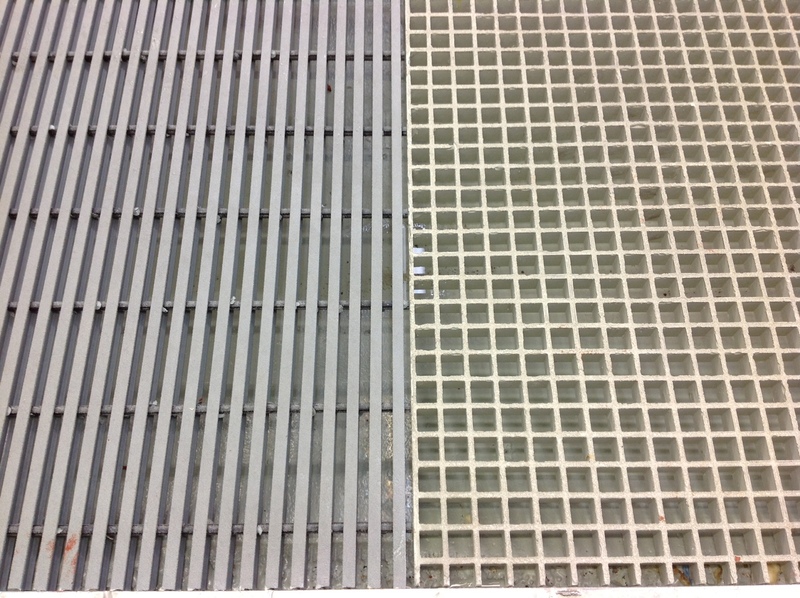 The increased strength of pultruded grating means it will not bend and need to be replaced in a few years unlike the molded grating and is virtually maintenance free. Therefore the life cycle cost of the material will be much less than molded grating, which only appears to be cheaper. As our client quickly learned – you really do get what you pay for.